Organic Vapor Test Kit / VOC Test Kit - Only $218.99! This item is made to order, has a shelf life of 6 months, and is non-returnable. Test kits are shipped within 1-4 business days. Once your sample is received by the laboratory, results are provided within 5-10 business days. 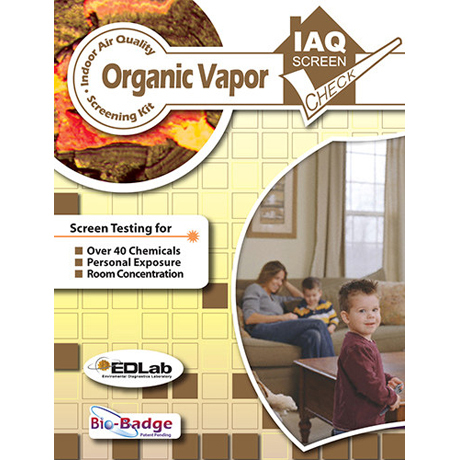 Identifies and provides concentration levels for Volatile Organic Compounds (VOCs). Measures over 50 compounds, including benzene, toluene, acetone, mineral spirits, hexane, and styrene. Includes 1 sample collection device for measurement of room exposure or personal exposure.